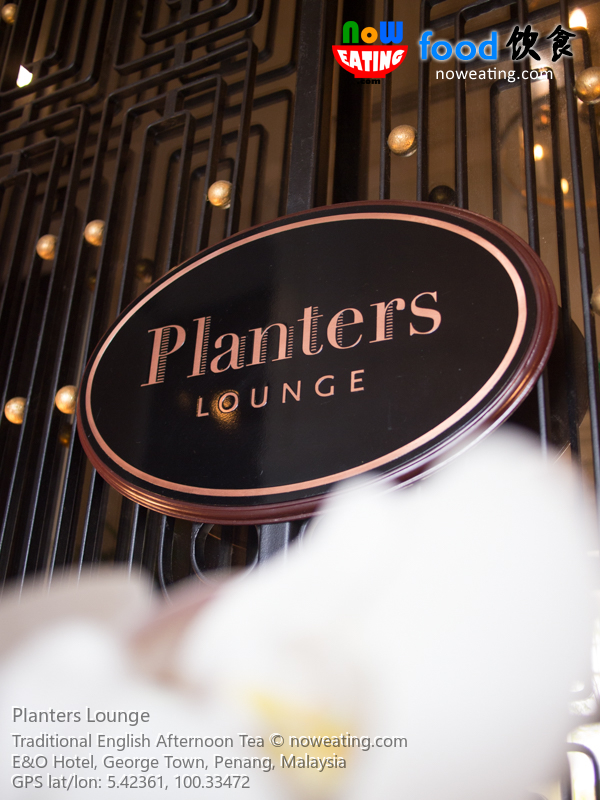 If you haven’t read our previous post, allow us to re-introduce Planters Lounge. 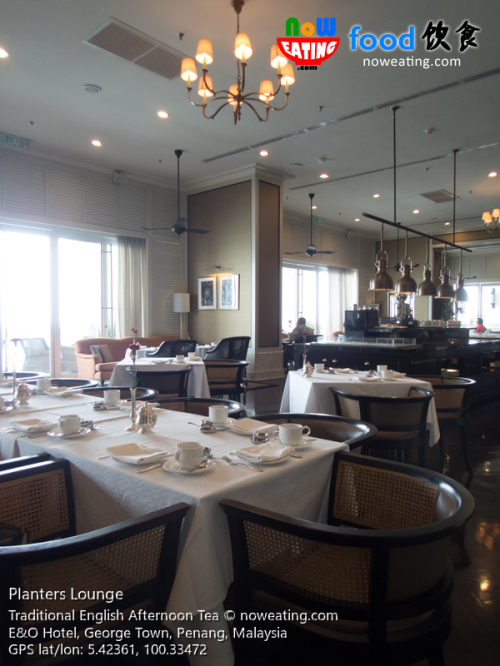 Located on the sixth floor of the Victory Annexe, the once exclusive dining area for hotel guests is now open to diners following the closure of other dining options at the Heritage Wing – The 1885, Sarkies Corner and Farquhar Bar for refurbishment works. 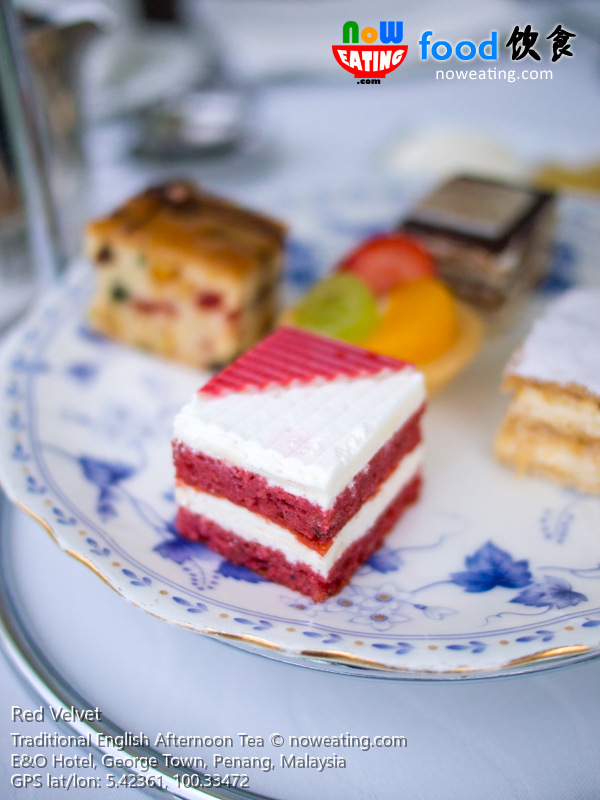 Cake & Tea Pastries – Opera, Fruit Cake, Red Velvet, Fruit Tartlet, and Millefeuille. Among them, Opera is our top pick. 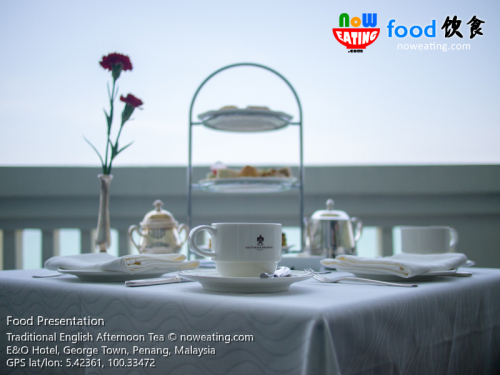 16 types of English teas are available. 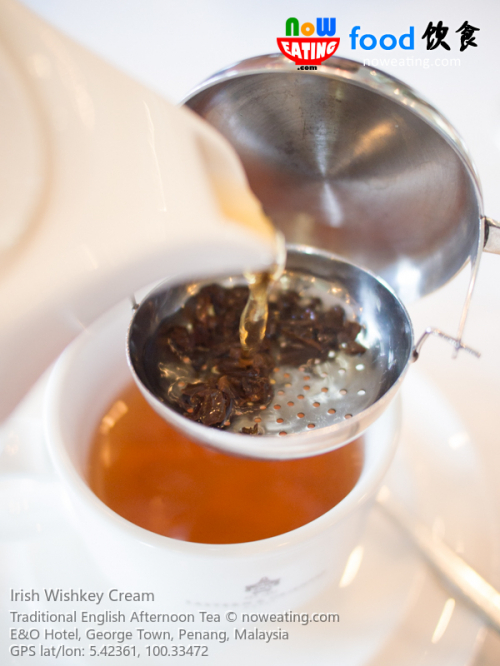 Bear in mind they are not ordinary tea bags but premium loose tea served in a teapot. 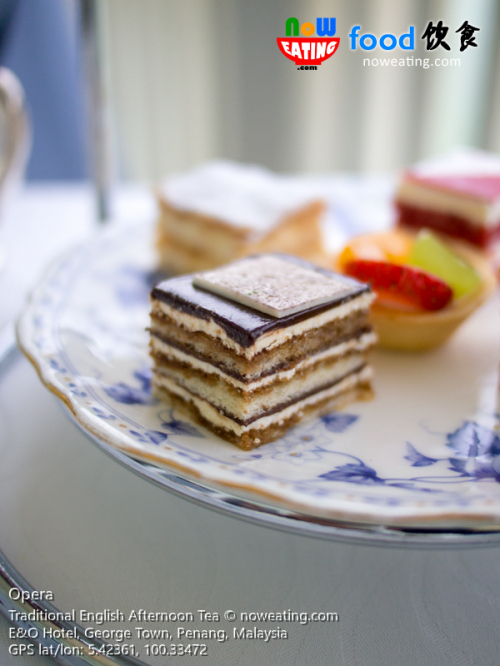 We opted for “Irish Whiskey Cream” which turned out to be one of the best English teas we’ve ever tried. As a whole, two thumbs up for E&O’s Traditional Afternoon Tea with generous amount of desserts guaranteed to satisfy your taste buds even with empty stomach. 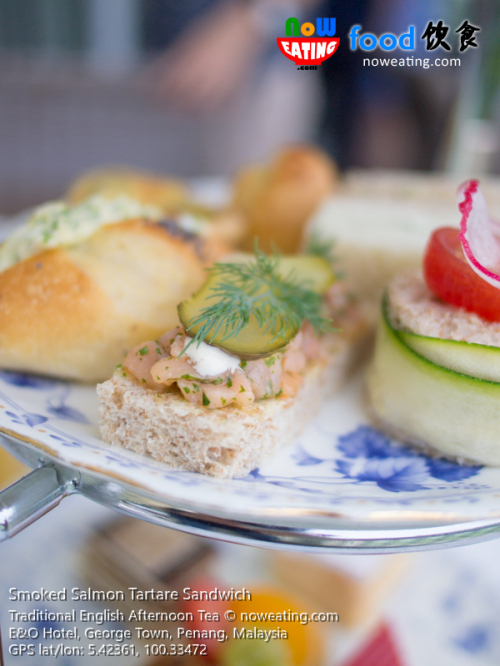 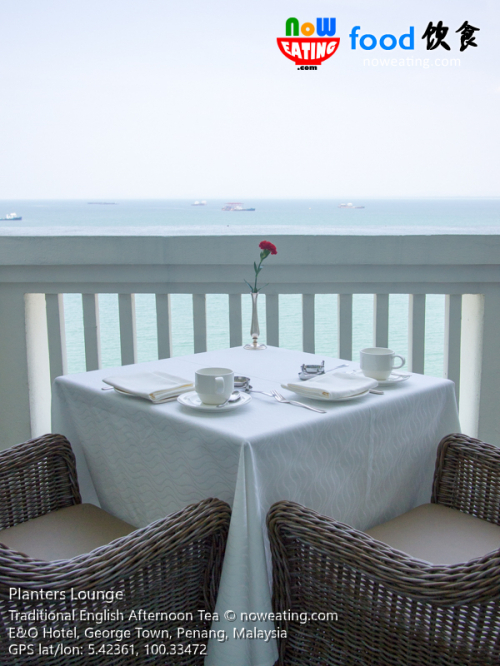 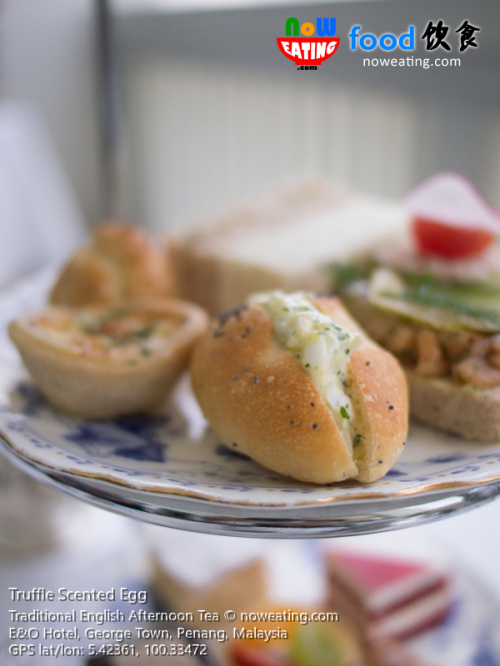 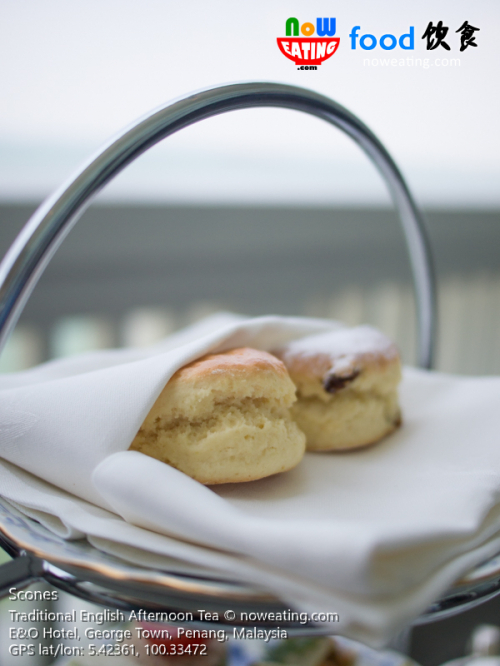 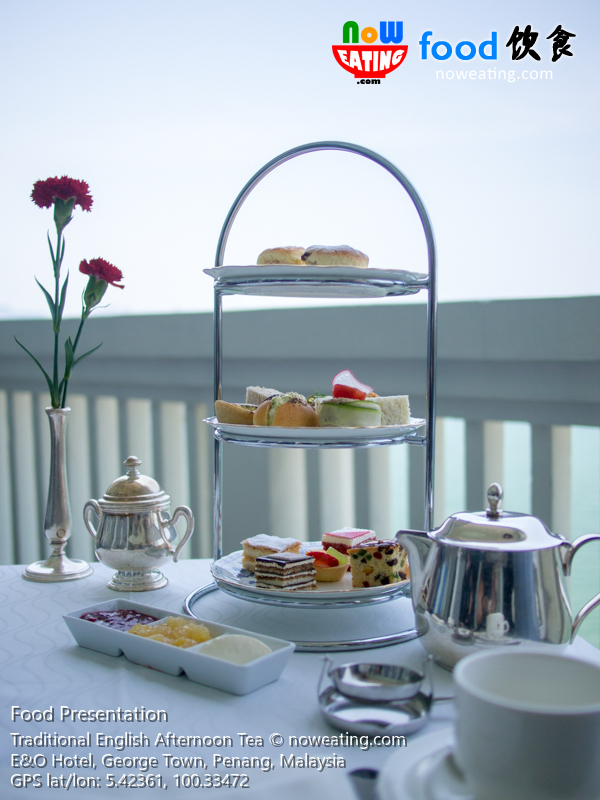 Traditional Afternoon Tea is available daily at Planters Lounge from 3pm-5pm. 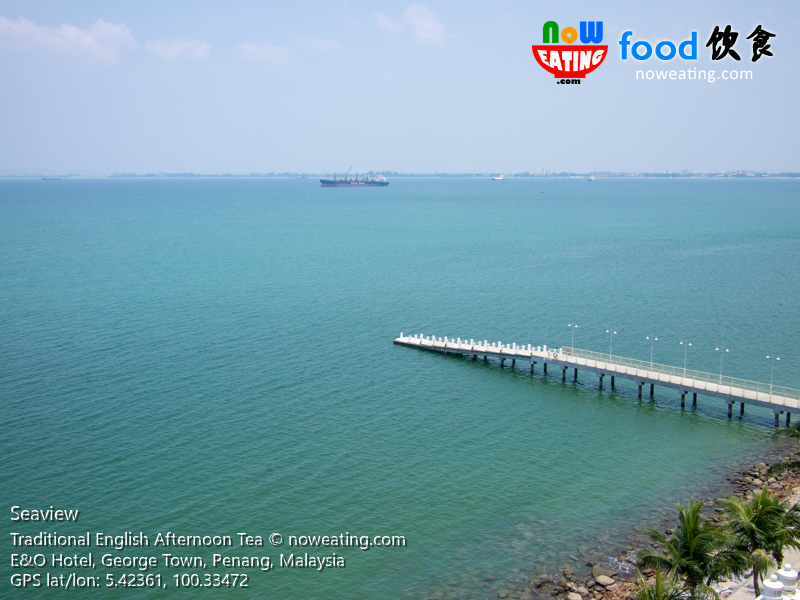 Pricing-wise, currently it is strategically priced at RM71.65 per pax and will be reviesed to RM76.00 per pax starting 1-May-2019.